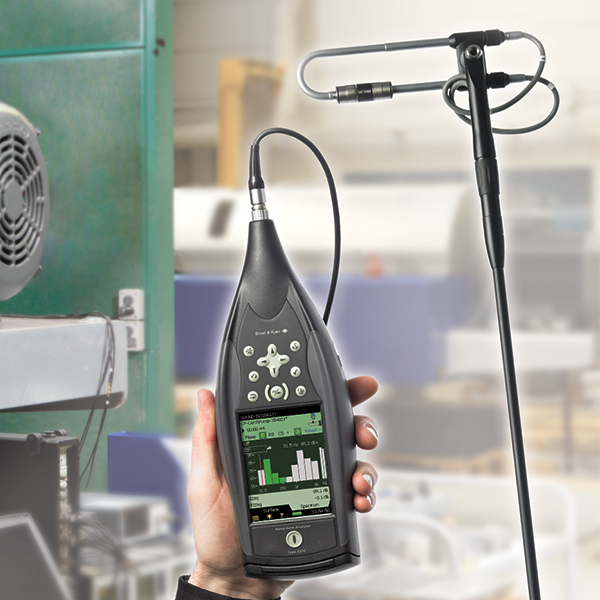 A complete hand-held sound intensity system offering sound intensity measurements for noise source location, sound power calculations and noise mapping. The system performs hand-held, battery-powered sound intensity measurements for noise source location and sound power calculations. It includes the 2-channel Hand-held Analyzer Type 2270 (incorporating sound level meter), Sound Intensity Software BZ-7233 and a Sound Intensity Probe Kit Type 3654. This system includes a weatherproof carrying case housing the hand-held analyzer, a probe with a windscreen, an extension stem with a handle, an intensity adaptor for Sound Calibrator Type 4231, a tape measure, and earphones. The case can also house optional accessories such as a sound calibrator, sound intensity calibrator and spare batteries.